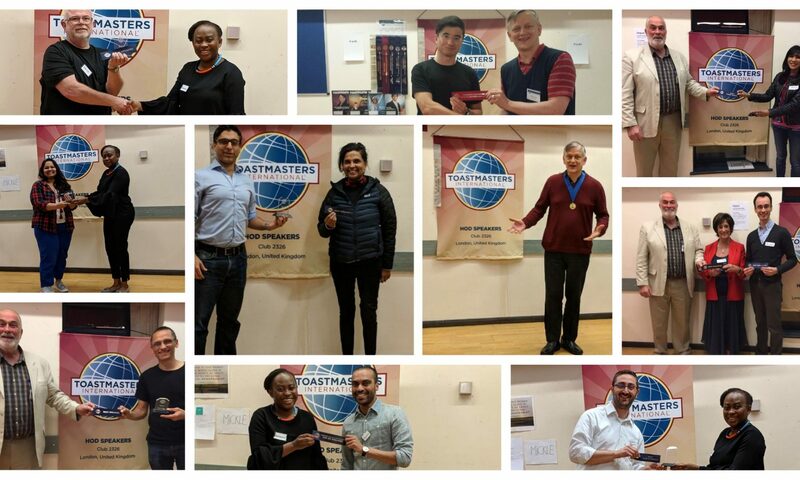 Objectives:• Recognise the characteristics of a toast.• Present a toast honouring an occasion or person. 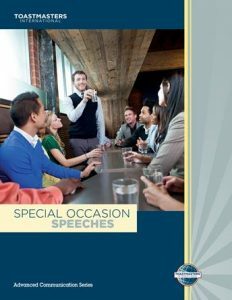 Objectives:• Prepare a speech praising or honouring someone, either living or dead.• Address five areas concerning the individual and his/her accomplishments.• Include anecdotes illustrating points within the speech. Objectives:• Poke fun at a particular individual in a good-natured way.• Adapt and personalise humorous material from other sources.• Deliver jokes and humorous stories effectively. Objectives:• Present an award with dignity and grace.• Acknowledge the contributions of the recipient. Objectives:• Accept an award with dignity, grace and sincerity.• Acknowledge the presenting organisation.